Want a Free iPad? Apply for a Job at Best Buy! According to Forbes, Best Buy is about to give free iPads to its retail store employees, to allow them to be better acquainted with the latest technologies. The move would be a first, and would be a costly one, as the electronics giant owns more than 1,100 retail locations across the U.S., and employs tens of thousands of store associates. Nevertheless, the move would likely help increase store sales, as instead of regurgitating marketing messages learned via their regular training sessions, the associates on the floor would be able to share their personal experience with potential buyers. The move would also provide a major advantage to Apple, as thousands of store employees would instantly become iPad users, and will likely recommend the tablet over competing models. Forbes didn’t give much more details about the roll-out, but most associates are expected to receive their device sometime this year. Also note that since Forbes didn’t mention which version of the iPad Best Buy employees would get, the devices could very well come from stocks of unsold first generation iPads. 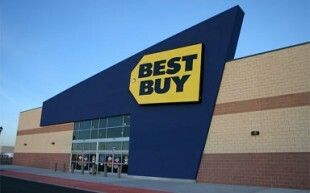 Best Buy is one of the largest sales channel for Apple, as the electronics giant owns a slew of stores across the U.S., in locations often underserved by Apple retail stores. Best Buy offers a slew of Apple products, from iOS-powered devices, to MacBooks. Special Apple-branded areas are featured at about two-thirds of Best Buy stores, to help guide potential potential buyers.